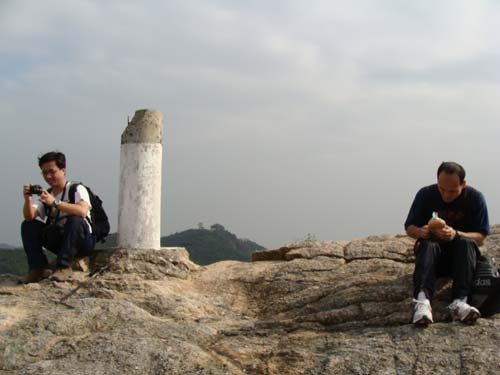 Lo Yan Shan is the highest peak in Chi Ma Wan peninsula of Lantau Island. 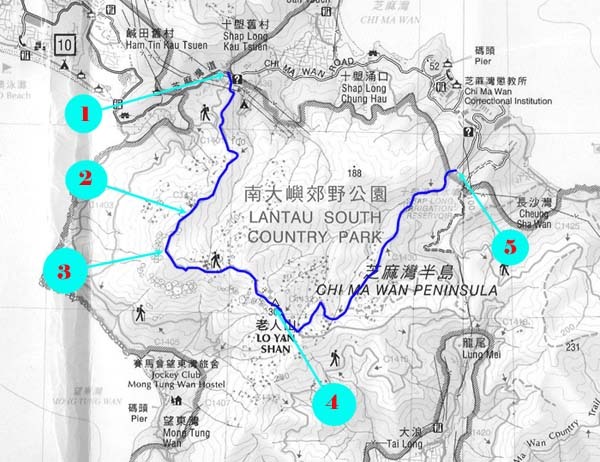 The peninsula is packed with nice hiking trails. 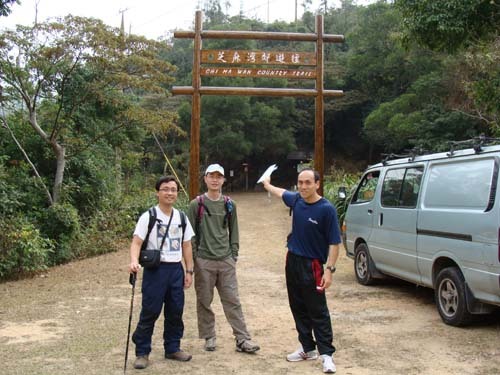 It is easily accessible, the entrance is very close to the main road. 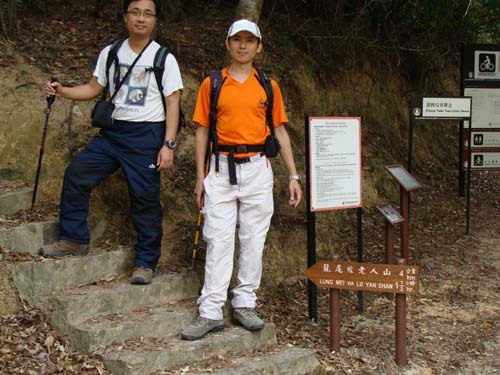 This is the starting point of this trail. The starting point is very close to Shap Long Camp Site. 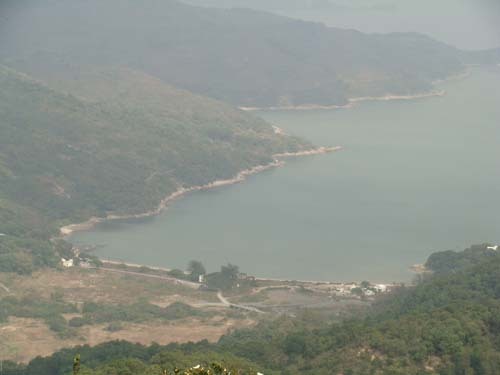 This is Chi Ma Wan (芝麻灣). 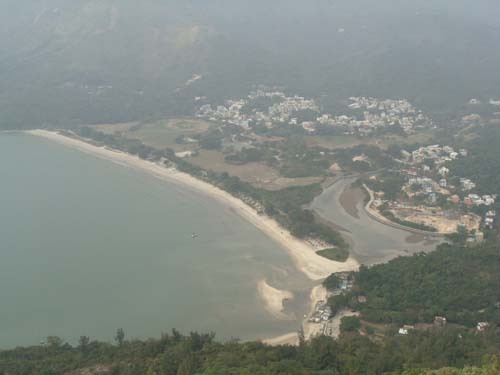 This is a Pui O beach (貝澳泳灘) view taken from an old trigonometical station. 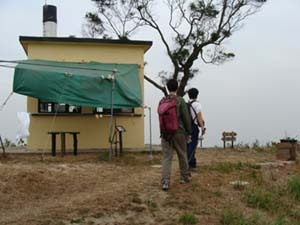 This is a hill fire lookout in Lo Yan Shan. There are officers on duty 24x7. 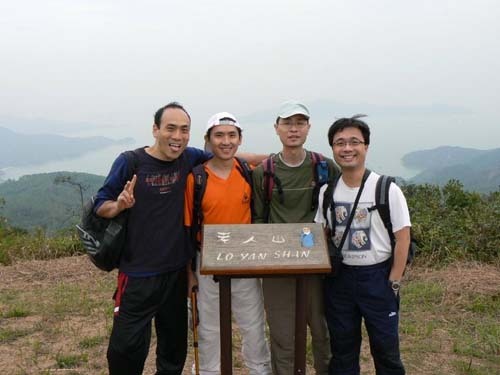 After taking picture with this funny road sign, we started decending to the pier near Chi Ma Wang Correctional Institiute. 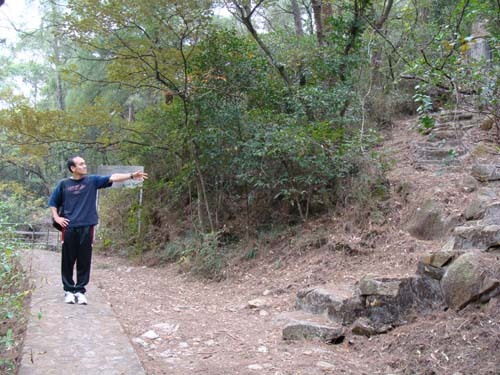 This big guy is pointing back to the foot path coming down from Lo Yan Shan. We are now next to Shap Long Reservoir.